Y&R Feb Sweeps: Hell-ary on Wheels…Move Over Devon & Mariah! “The Young and the Restless” (Y&R) producer Mal Young spoke about what we can expect for Hilary & Devon (aka Hevon) and the Hilary & Mariah rivalry during February Sweeps! Hilary/Devon/Mariah: “While Hilary and Mariah have only put their heated arguments on ice for Devon’s sake, trust that there will be plenty of clashes between these ladies in the future. Hilary nearly lost the man she loves and resorts to extreme measures to keep Devon in her life,” Y&R executive producer Mal Young told “Soap Opera Digest” (SOD) in its latest issue. 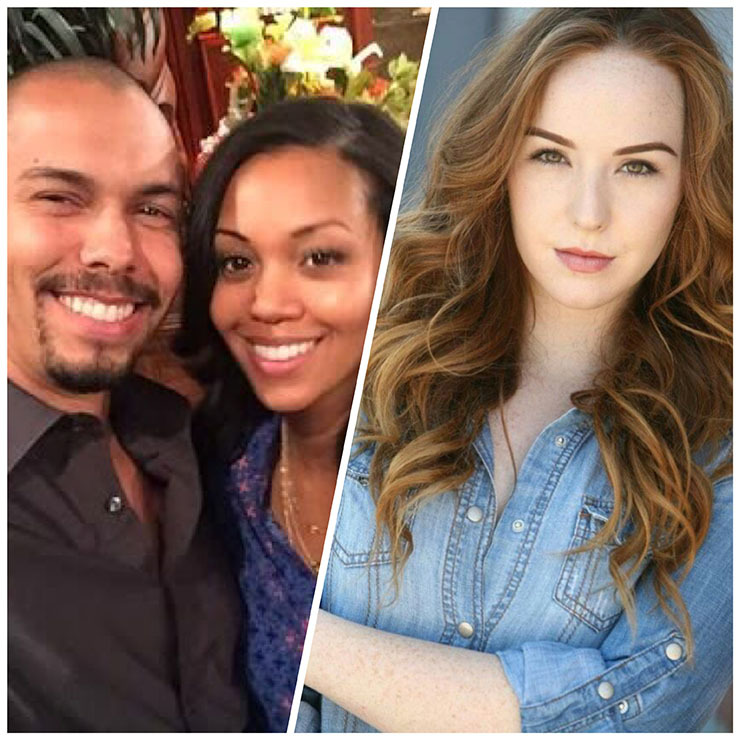 We at Soap Cities are loving the Hilary (Mishael Morgan) and Mariah (Camryn Grimes) rivalry! Shall we call them #Hariah?! In any event, both Morgan and Grimes have excellent chemistry. which makes watching their catfights all the more delish! SOD named Morgan “Performer of the Week,” Morgan def has the acting chops to showcase her character’s “bitchiness,” alternating with “vulnerability,” in her scenes with Neil (Kristoff St. John) and Devon (Bryton James) (aka Hevon). James also teased in the same SOD issue that things between Hilary and Mariah are about to heat up this February. Devon not only keeps Hilary on staff at GC Buzz but brings on a new co-host for her. Can you guess who it is?! “Rest assured, that mix of personalities will bring about fireworks to GC Buzz’s future. Maybe Devon just doesn’t learn.” If he did, then the story would be boring, right folks?! That’s what we think! What do you think?! Previous ArticleY&R Feb Sweeps: Who will Succeed Victor at Newman Enterprises?! Next Article Y&R February Sweeps: Rebel Without a Cause! !